Portugal and Iceland didn't go beyond a 1-1 draw in their EURO 2016 debut. Nani scored with the opener gave the Portuguese high hopes, but Bjarnason equalizer shortly after the break brought the Selecção back to earth. 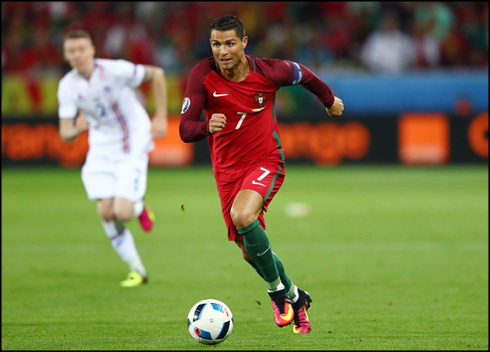 False start for Cristiano Ronaldo and his teammates, as Portugal ended up being held to a 1-1 draw against Iceland in tonight's EURO 2016 debut. In a game where the Portuguese ended up disappointing a bit to say the least, there were still a few optmistic signs to take for the remaining of the tournament. Almost everyone expected both a convincing win and performance against a well organized Nordic nation, but Nani's goal turned out to be insufficient to take the 3 points in Group F. Despite tonight's upset, many experts still rate Portugal as the big favorites to win their remaining 2 games and finish first in their group. 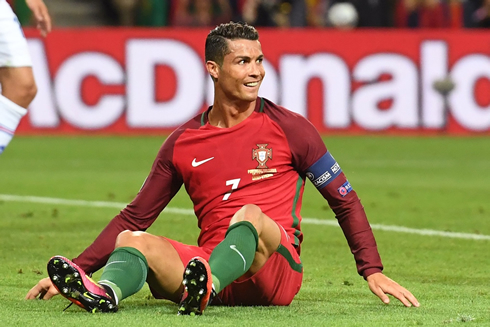 The next two fixtures against Austria (June 18) and Hungary (June 22) are now going to be vital to determine whether or not Portugal advances to the EURO 2016 knockout stages. 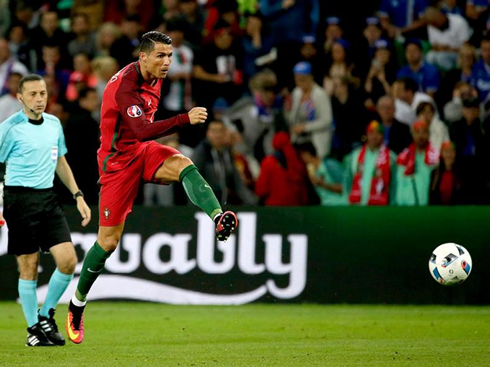 It was a tale of two halves for Portugal, as they dropped two points to Iceland in their debut EURO 2016 match, drawing 1-1 tonight in France. With Cristiano Ronaldo and Nani up top, backed by a midfield comprised of Danilo, André Gomes, João Moutinho and João Mário, things looked promising in the first half, as Portugal looked to break down the stubborn Icelandic defense. And in the first half they certainly had their chances while looking very comfortable in possession. Eventually, that sustained pressure would make a difference, as Nani found himself free in the box to place the ball in the back of the net. Only 31 minutes in and Portugal looked very comfortable. But they couldn't grab a second goal to kill off the game and that would haunt them for the rest of the match. As the second half started, Iceland came out a different team, pressing Portugal and finding some gaps between the aging center back pairing of Pepe and Ricardo Carvalho. And only five minutes after the break, Birkir Bjarnason was able to score the equaliser with a tidy finish in the box. It was Iceland's first ever goal at the European championships and Portugal were suddenly under pressure again. So they pressed forward, but this time, they could never seem to find any clear cut chances. Cristiano Ronaldo came close with a header late, but it was straight at the keeper. 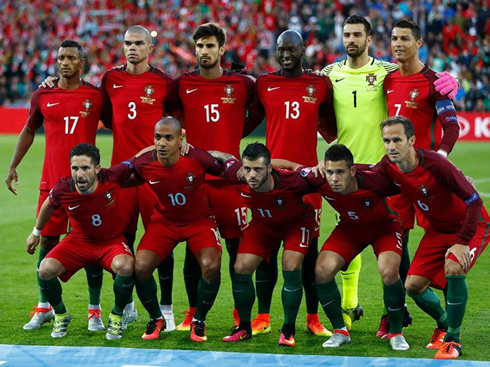 It's the same old issues for Portugal, the lack of a true number 9 really seemed to hurt them as the game went on. Éder was brought on late, but he was as ineffective as usual. One good takeaway however, is that Renato Sanches seemed really good off the bench and with João Mário having such a poor game, perhaps the teenager could be in for a start against Austria next Saturday. Cristiano Ronaldo next game with Portugal is for the EURO 2016 on June 18 of 2016, against Austria. You can watch Juventus live stream, Portugal vs Austria, Spain vs Turkey, England vs Wales, France vs Albania, and Germany vs Poland, all matches provided from our EURO 2016 soccer live game pages.